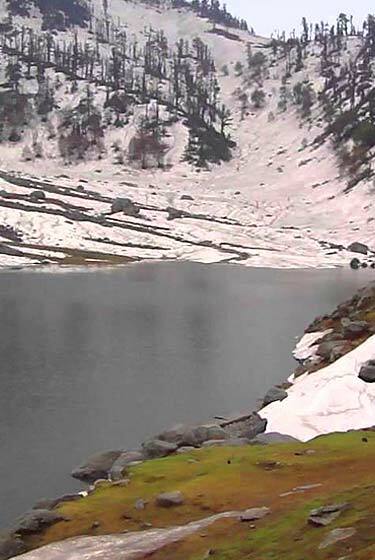 Trek starts along the right bank of Beas river through villages, green fields and orchards with beautiful valleys, forests & mountain view to the famous ski resort, Solang Nallah (2480 m). Overnight in tents. 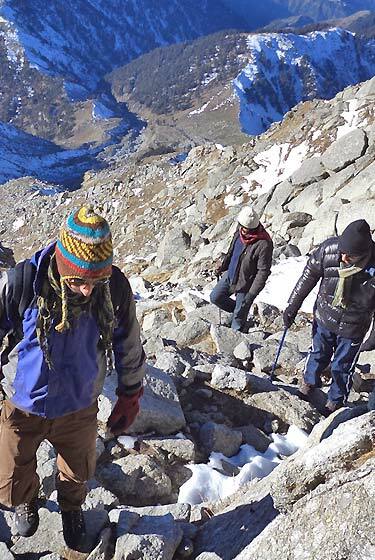 Trek through an alpine plateau, Dhundi (2480 m). 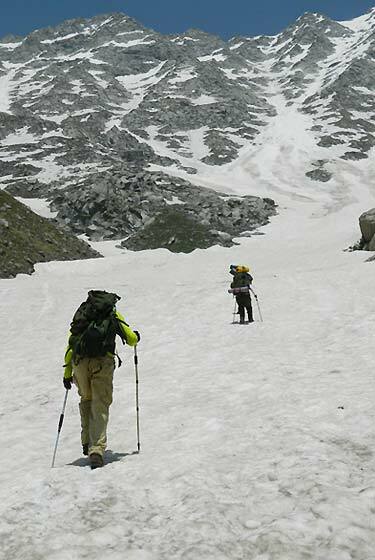 Along the trek view glaciers and snow capped peaks including the peaks of Indrasan (6221 m) & Deo Tibba (6001 m). Overnight in tents at Bakarthach (3150 m). 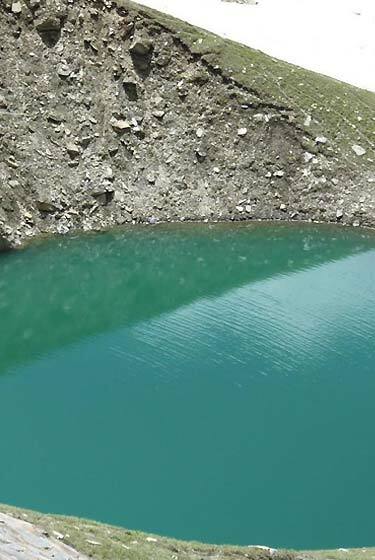 Trek to the source of river Beas, Beaskund. 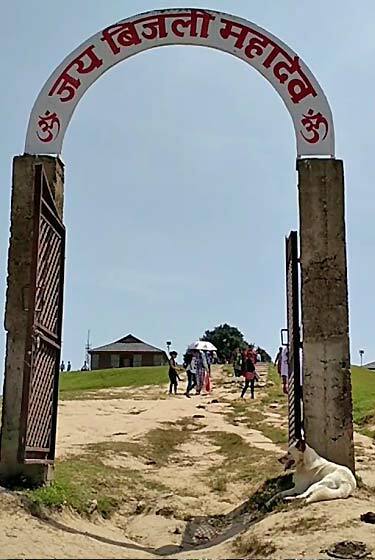 Return to Dhundi for an overnight stay in tents. 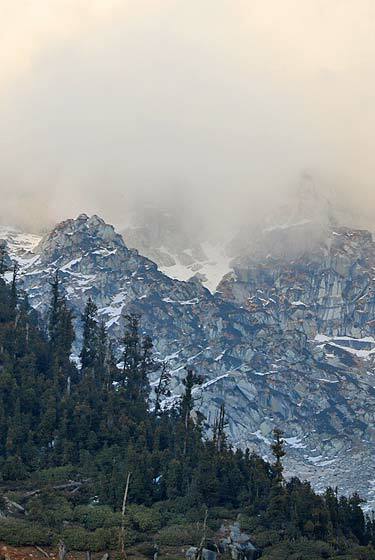 Trek down to Solang Nallah and travel by car/ jeep to Manali. The trek ends in Manali. Please keep in mind that the above information is not exact and does not account for sudden changes. Whatever the temperatures and conditions rest assured we will be prepared to handle it with ease as we use equipment of very high specification.